Old Favorites Return to Disneyland Park This Summer With New Magic! When the iconic Disneyland® Railroad and the Rivers of America attractions return to Disneyland Park this summer, you will discover new magic aboard these classic experiences. As we first shared last year, and seen in the artist’s rendering above (courtesy of Walt Disney Imagineering), the gorgeous new north bank of the Rivers of America will feature a beautiful new waterfront and an elevated trestle over which the iconic Disneyland Railroad will travel. The Rivers of America will continue to celebrate the Mississippi, Columbia, Missouri and Rio Grande rivers, enhanced now with a new Columbia Gorge section, highlighted by thundering waterfalls – signaling the return of large waterfalls to the rivers. Longtime Disneyland park fans will remember Big Thunder River Waterfall and Twin Sisters Waterfall; five spectacular new waterfalls along the Rivers of America hearken back to these favorites – all on display for guests aboard the Mark Twain Riverboat, Sailing Ship Columbia and Davy Crockett Explorer Canoes. You will also experience these features from aboard the Disneyland Railroad, which will travel across the rocks on a trestle that will even extend onto the river, providing a breathtaking view of the new waterfalls. And, for the first time ever, the Disneyland Railroad will be making a left-hand turn as it circles the park. In addition to the new waterfalls, you will spot some familiar faces along the Rivers of America as well as throwbacks to Frontierland’s past. The Indian Village, now in a new location, will include a more prominently featured Shaman, seen telling the story of how the hummingbird taught the Indian chief to make a flute. 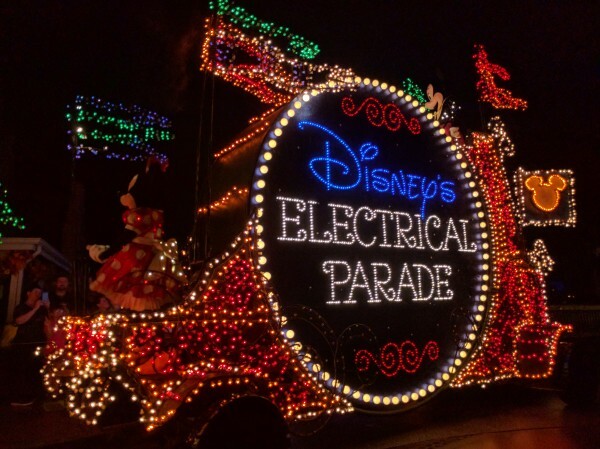 Last Chance to see the Main Street Electrical Parade at Disneyland! A few months ago, Disney announced that the Main Street Electrical Parade was leaving Walt Disney World and going back to the place it began – Disneyland® Park – for a limited time, beginning January 20, 2017. Whether you are making new memories or reliving favorite moments, this is a homecoming celebration you’ll want to share with family and friends, and it will be your last chance to see it. Also, on January 19, 2017, Guests can be among the first to experience the return of this beloved parade during a special, after-hours premiere event. After the park closes, premiere event ticket holders will enjoy a night of exclusive access to most Disneyland Park attractions and select restaurants, featuring a special performance of the Main Street Electrical Parade ahead of its official debut to the public. Tickets go on sale for Disneyland Resort Annual Passholders today, December 6, 2017 and to the general public on December 13th. 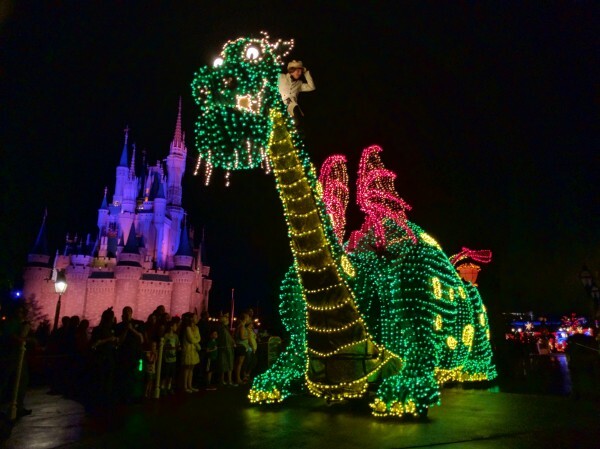 Do you want to see the Main Street Electrical Parade before it’s gone? Call us at 855-434-9397 today to book your vacation. 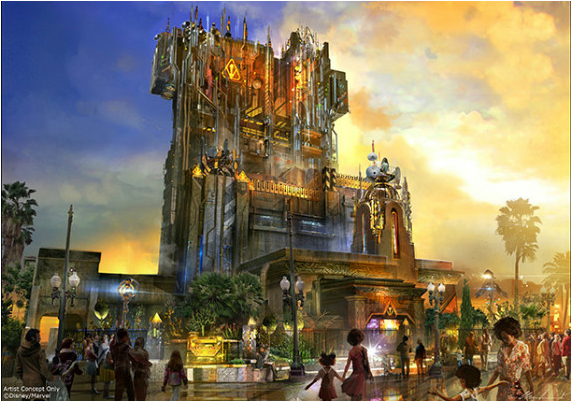 Disneyland’s Tower of Terror to become Guardians of the Galaxy – Mission: BREAKOUT! Beginning in summer 2017, the outrageous and irreverent gang will appear in Guardians of the Galaxy – Mission: BREAKOUT! – a comically high-energy, rocking new adventure at Disney California Adventure® Park at Disneyland® Resort. 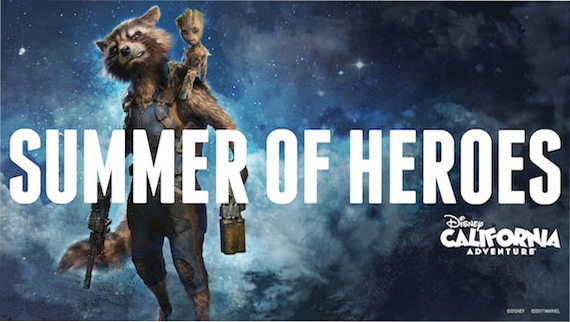 You will be right in the mix with characters from the blockbuster “Guardians of the Galaxy” films. Deep inside his fortress-like collection, the mysterious Taneleer Tivan (aka The Collector) is displaying his newest acquisitions: the Guardians of the Galaxy. They are trapped in customized display cases, suspended over a vast abyss. Unbeknownst to their unscrupulous captor, the intrepid Rocket Raccoon has escaped and is enlisting the Collector’s VIP guests for help. Guests board a gantry lift, which launches them into a chaotic and hilarious adventure as they join Rocket in an attempt to break his fellow Guardians out of captivity. 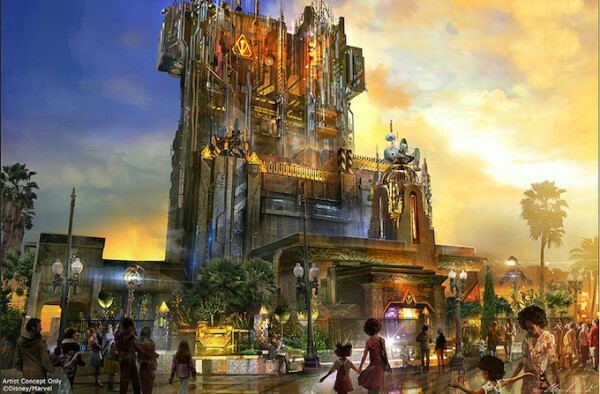 The new attraction will anchor a broader universe of Super Heroes that will grow over time at Disney California Adventure Park. This exciting new presence will transform the structure currently housing The Twilight Zone Tower of Terror™ (scheduled to close in early 2017) into an epic new adventure, enhancing the breathtaking free fall sensation with all-new visual and audio effects to create a variety of ride experiences. 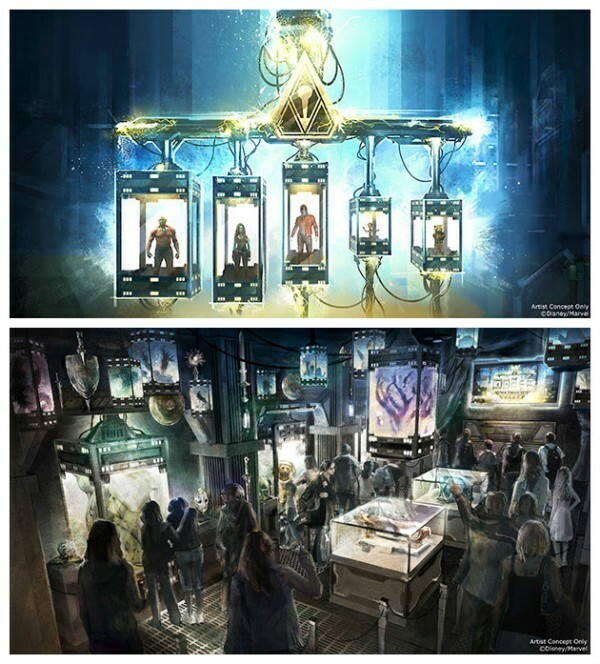 You will experience multiple random, unique ride profiles in which the rise and fall of the gantry lift will rock to the beat of music inspired by the film’s popular soundtrack. Guardians of the Galaxy – Mission: BREAKOUT! 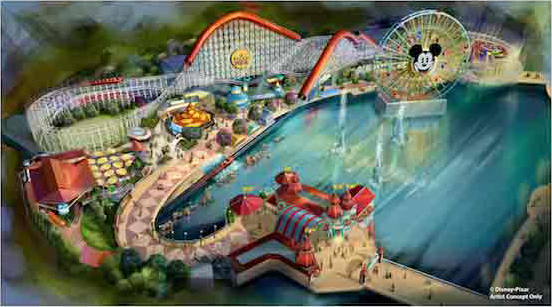 opens summer 2017 at Disney California Adventure Park. Stay tuned, as we’ll bring you more details as the attraction develops as well as opportunities to celebrate The Twilight Zone Tower of Terror™ before it closes in early 2017. From a new live stage show to all-new attractions, there’s so much for you to experience at the Disneyland® Resort this summer! Here are ten experiences you won’t want to miss. The new “Frozen – Live at the Hyperion” immerses Disney California Adventure® Park Guests in the emotional story of Anna and Elsa in an exciting theatrical interpretation for the stage, including elaborate costumes and sets, stunning special effects, show-stopping production numbers and some unique surprises. 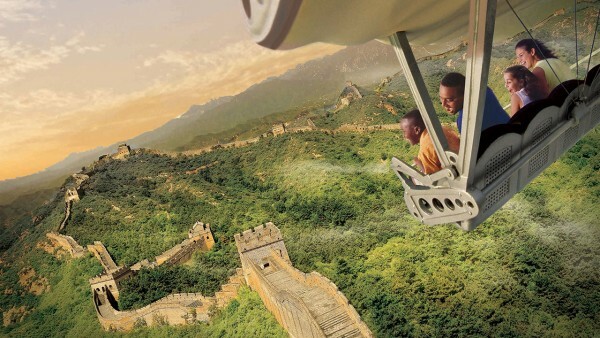 On Soarin’ Around the World at Disney California Adventure® Park, you can take flight on an all-new adventure to exciting destinations. In Tomorrowland at Disneyland Park, Star Wars Launch Bay invites Guests to discover authentic replicas of film props and encounter Star Wars characters such as Chewbacca and Kylo Ren. The Star Wars-themed transformation of Space Mountain into Hyperspace Mountain thrusts you into an X-wing battle as you race through the darkness. The experience is enhanced by a new soundtrack, inspired by the Star Wars films’ musical themes and re-orchestrated to match every move in the attraction. At Star Tours – The Adventures Continue, you can encounter a new adventure and characters from “Star Wars: The Force Awakens” while journeying aboard a Starspeeder 1000. Make sure you don’t miss your chance to see the Disneyland Resort Diamond Celebration dazzle and shine before the celebration ends Sept. 5, 2016. The sparkling “Paint the Night” parade builds on the tradition of breathtaking nighttime parades in Disneyland park that began with the “Main Street Electrical Parade.” Illuminated almost entirely by LED lights, “Paint the Night” is a state-of-the art, vibrant wonder that immerses Guests in the magical, luminescent worlds of many Disney and Disney●Pixar characters. The “Disneyland Forever” fireworks spectacular entertains Guests from the tips of their toes to the sky high above, surrounding the audience with music, dazzling visual projections and other special effects that bring the pyrotechnics to life in surprising new ways. You can enjoy the projections from multiple locations, including Main Street, U.S.A., and “it’s a small world” mall. At Disney California Adventure® Park, “World of Color – Celebrate! The Wonderful World of Walt Disney” is a fun-filled version of the popular, nighttime “World of Color” spectacular. Award-winning actor Neil Patrick Harris joins Mickey Mouse on a magical water canvas, bringing to life the remarkable story of Walt Disney and The Happiest Place on Earth with animated imagery, live-action film, fountains, lasers, special effects and a stirring musical score. 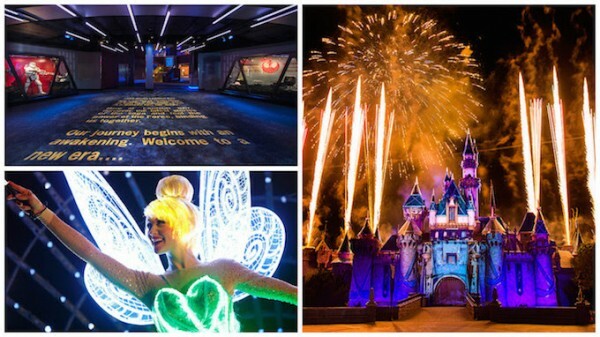 Experience the magic of Disneyland for yourself! “Frozen – Live at the Hyperion” is now playing daily in the Hyperion Theater in Hollywood Land at Disney California Adventure® Park. And, if you would like to take your viewing experience to the next level, reservations are now open for three pre-show packages that include priority seating at select performances plus special experiences before and even after the show. The Frozen Pre-Show Package lets you chill with family and friends while enjoying refreshments, photo opportunities and more at a festive, “Frozen”-themed celebration before the live show. This one-of-a-kind gathering commences inside Stage 17, transformed into a castle courtyard in the wintry world of Arendelle with “Frozen” delights sprinkled all around, including a shaved-ice treat. When the magical reception winds down, you will be whisked off to the nearby Hyperion Theater and land in your priority seats. The cost for the Frozen Pre-Show Package is $49 per person, plus tax. 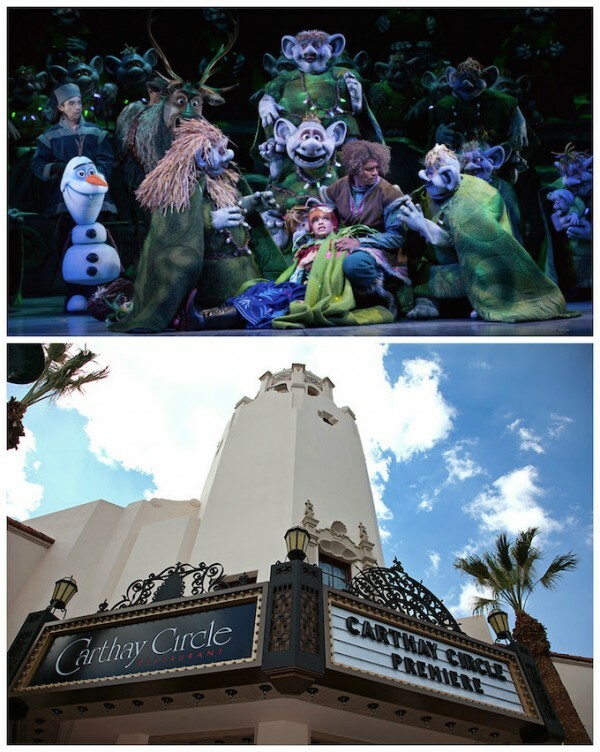 The Frozen Pre-Show Plus Lunch Package includes the pre-show experience and priority seating, plus a delicious dining experience at Carthay Circle Restaurant. You can savor a three-course meal that includes a choice of four stunning main course dishes. There’s also a special kids menu, but everyone big and small should save room for a sweet “Frozen”-inspired dessert. The cost for the Frozen Pre-Show Plus Lunch Package is $99 per adult and $79 per child (ages 3 to 9), plus tax and gratuity. 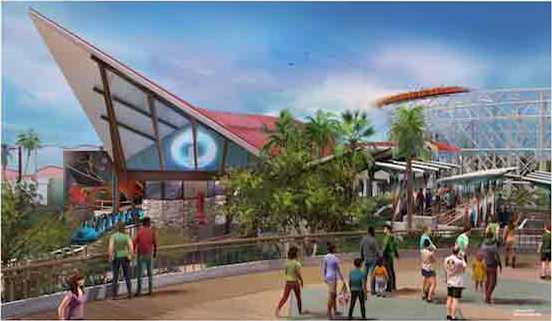 And for the ultimate viewing experience, there’s the Frozen Signature Dining & Behind-The-Scenes Package. 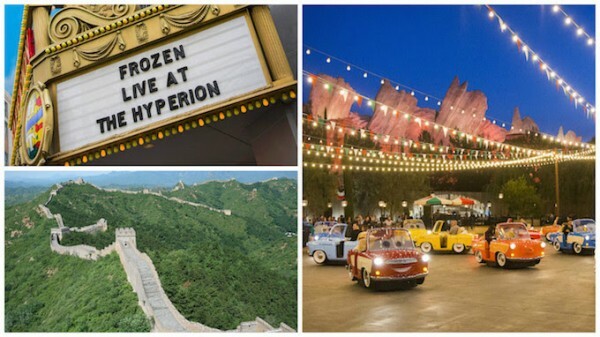 This is an incredible offering custom-designed for the biggest “Frozen” fans, which includes not only the pre-show celebration and priority seating, but also an exclusive behind-the-scenes experience at the Hyperion Theater following the performance. You will then cap off the experience with an elegant four-course dinner at Carthay Circle Restaurant. The cost for the Frozen Signature Dining & Behind-The-Scenes Package is $299 per person, plus tax and gratuity. 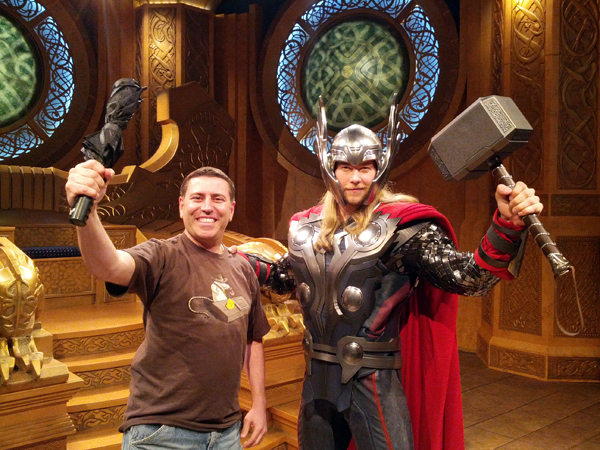 It seems like Super Hero HQ in Tomorrowland at Disneyland just opened five months ago, and now the last day to experience it will be April 2, 2016. 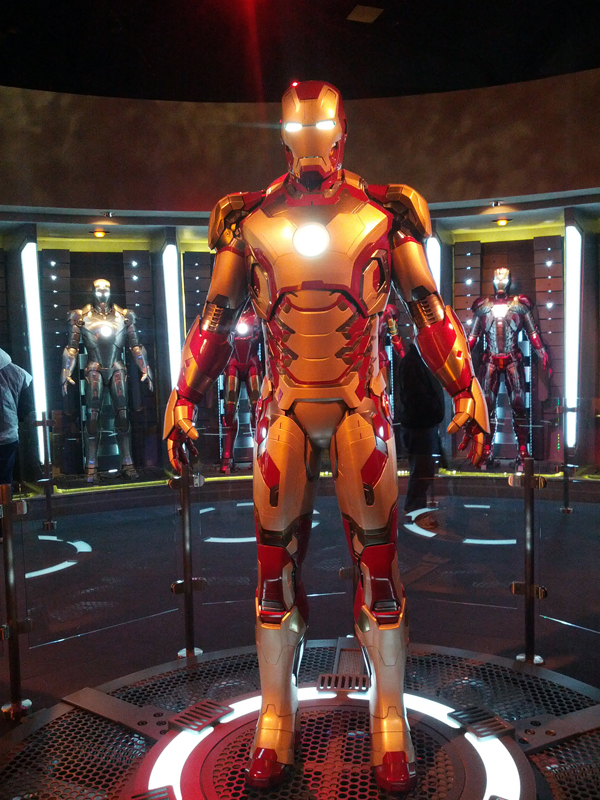 That means it’s your last chance to suit up at Iron Man Tech Presented by Stark Industries or journey the Bifrost for an encounter with the Mighty Avenger at Thor: Treasures of Asgard. But this doesn’t mean Marvel Super Heroes are going away entirely. 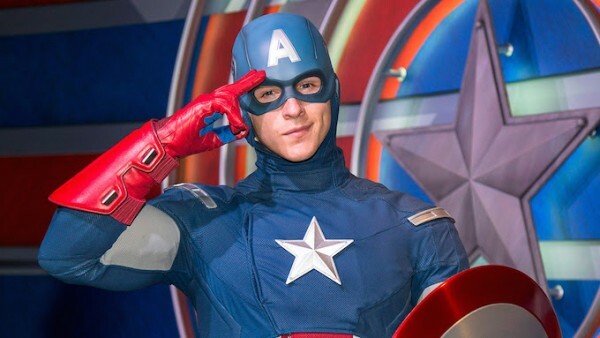 Beginning April 3, 2016, both Captain America and Spider-Man will make appearances at Disney California Adventure in Hollywood Land. I’m very glad that Cap is coming back to meet people, but this whole announcement has me really curious as to what is going to be going on at the former Innoventions building. Luigi, who has invited his cousins from Carsoli, Italy, to Radiator Springs for a special celebration, has turned the tire storage yard behind his Casa Della Tires into a dance floor! You will be able to ride along with Luigi’s cousins as they move and spin to upbeat Italian music, performing the traditional dances of their hometown village. 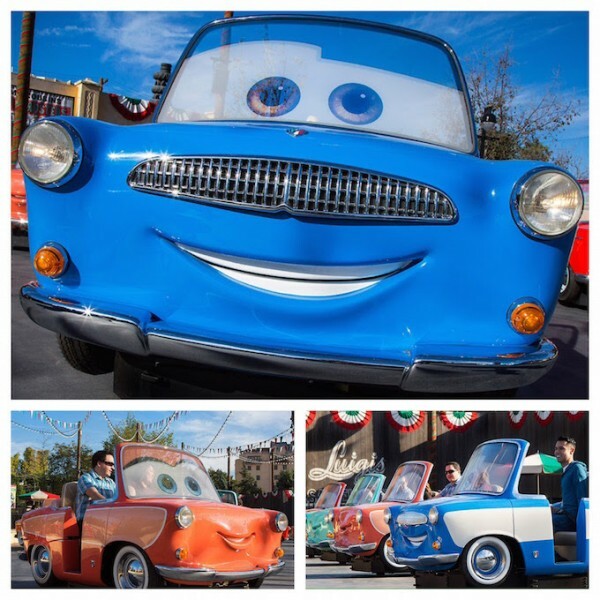 Each dancing car will have its own high-spirited personality and signature dance moves – making every ride unpredictable, as you won’t know which way you will turn and spin next! I’m intrigued by this and can’t wait to get the first-hand reports!